"When the US [Gizmodo edition] reviewed the beta [of Zune Video on Xbox Live] yesterday, they were a bit harsh on the Zune marketplace. They said: “Not a whole lot to write home about yet besides 1080p streams”. But they come from a country where VOD is commonplace and easy to get — Netflix, Hulu, Roku, Amazon, TiVo… all let you watch your entertainment whenever you want. Here in Australia, we have iTunes, we have TiVo and we have Foxtel, but the truth is that the Zune Video Marketplace is a much easier and superior experience to both of those." With all of the competition here in US, it's often easy to forget that even parts of the Western world don't have access to a wide range of quality VOD services. 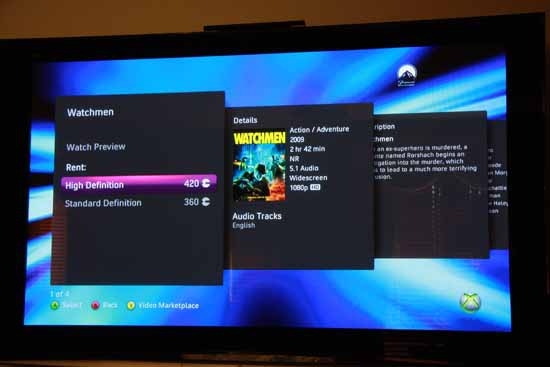 As compared to their brothers in the US edition, who found nothing particularly interesting in the Zune video-on-demand offering for Xbox Live, Gizmodo Australia was excited to report that the Smooth Streaming technology worked as advertised, and moreover that the service was easy to use. It seems like Zune Video is definitely a viable solution for those readers who are overseas and don't have access to maybe a Hulu or Amazon service. Hopefully we'll start to see some strong advances for those of us in the US too.